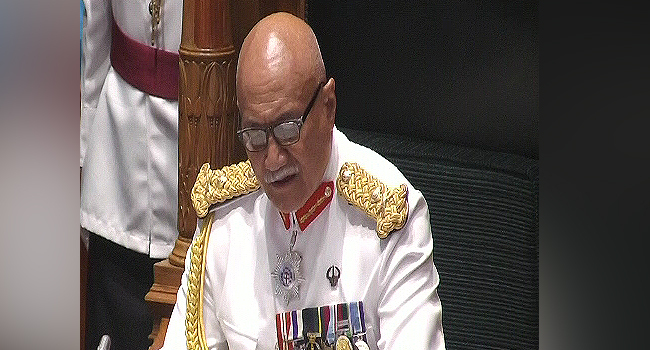 President Major-General (Ret’d) Jioji Konrote has officially opened the new parliament session this afternoon. In his opening address, Konrote reminded the parliamentarians of their roles and what Fijians expect from them. He warned against race baiting, appeals to ethnic identity and any efforts to divide the people. The President highlighted that in the lead up to the 2018 Election, some parties and politicians failed to adhere to his warnings which saw political discourse descent into the dangers and hateful rhetoric on many occasions, particularly on indigenous rights. Konrote adds that this has no place in Parliament. The President also reminded the MP’s that they represent the Fijian people and their interest. He was also proud to see more women representatives in Parliament.